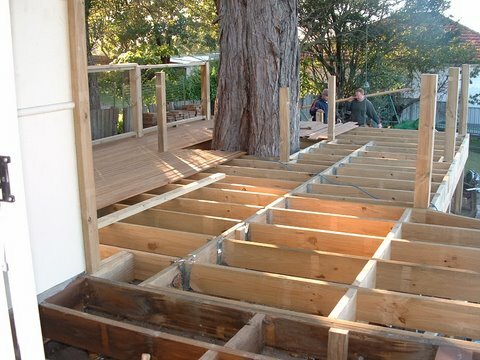 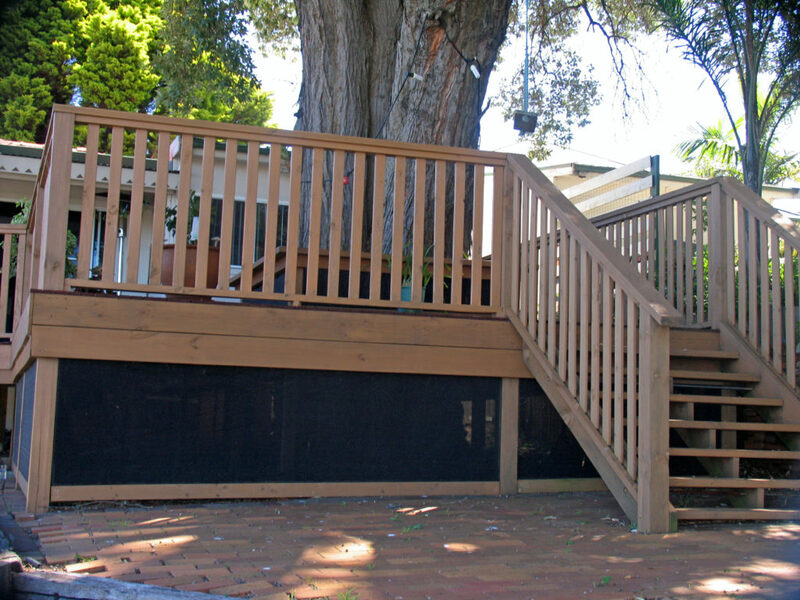 This unique project involved adding an outdoor timber deck to an area featuring a large tree. 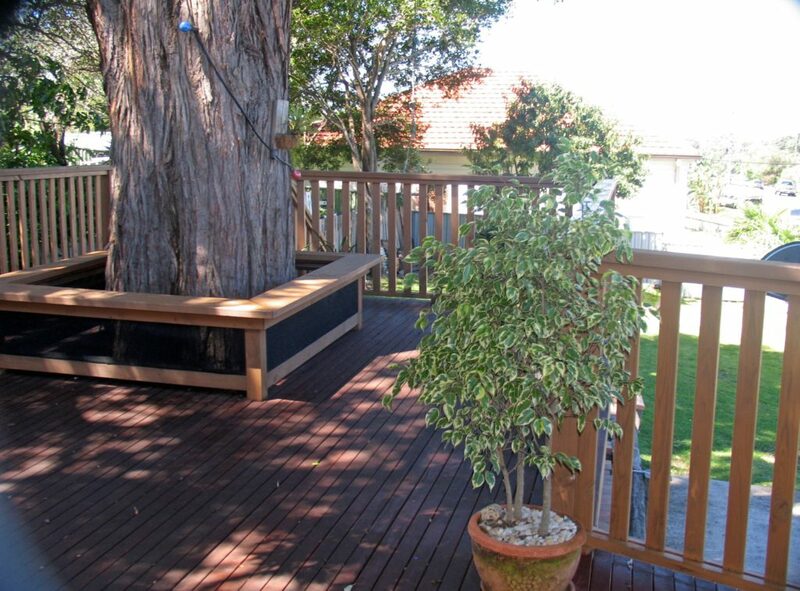 The deck naturally integrates the tree into the space for an unusual and beautiful look which features seating, railings, stairs and a closed-in underneath area. 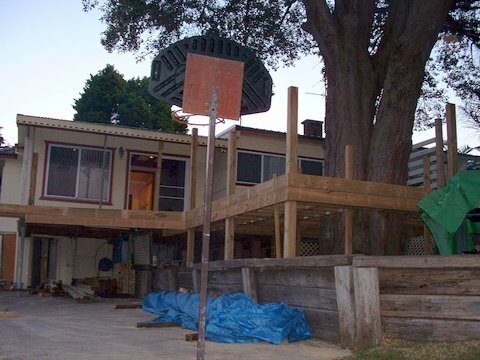 It has weathered well over several years and successfully preserved the life of the tree.